You Are Here: Home > Why Buy From Contemporary Automotive?  Why Buy From Contemporary Automotive? Finding a trustworthy dealership can be sometimes a challenging task. At Contemporary Automotive, we’re here to alleviate the concerns of our Manchester area customers. 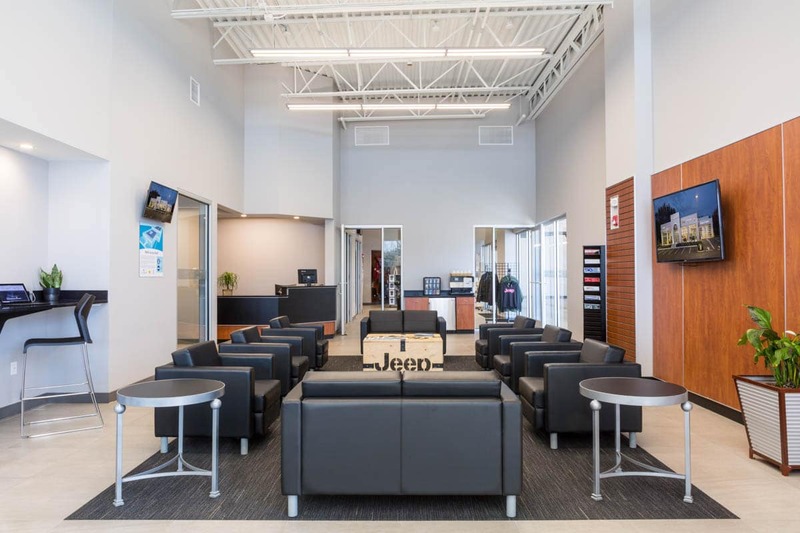 We have been a family owned business for over 40 years and continue to provide clients with all their Chrysler, Dodge, Jeep, RAM, and FIAT needs. No matter your lifestyle or preferences, we’ll have a vehicle that fits it perfectly, especially with over five acres of inventory. What else makes Contemporary Automotive different compared to other dealerships? We wanted to do our part in helping build a better future. We ensured Contemporary Automotive would be reducing its carbon footprint and adding elements that will create a more sustainable environment. Starting from the top, we added photovoltaic solar array on the roof. This will contribute to fueling the energy our dealership and service center requires. As we head inside the building, customers will notice the large destratification ceiling fans in the showroom, service drive-thru, customer lounge, and repair shop. This will help circulate air and help optimize HVAC system. Our service center will retain used motor oil and utilize it towards heating the building. This will heat approximately 70% of the whole dealership! We also made sure to follow EPA’s recommendations to avoid groundwater contamination from accidental spills. Finally, as you pull up to the dealership, you may take notice of the plants, shrubs, and trees planted outside. They are New Hampshire native plants that are drought tolerant. Choosing these plants will prevent us from wasting water. Speaking of water, our storm water runoff is managed in part by four large bio-retention gardens so more water can be absorbed in the ground before being brought to detention ponds. We’re not just a dealership wanting to sell you a car or fix it. We are interested in building long-term relationship with all our clients! The moment you walk onto the lot, our sales staff will welcome you, ready to answer any questions you may have. They’ll take you on a tour of the inventory and encourage you to take the vehicle for a test drive. If you found your dream car, our staff will guide you through the car purchasing process. Moreover, our finance department will work endlessly to achieve a payment plan that is comfortable with your budget. When you finally been handed the keys, our service staff will welcome you back when it comes time for your vehicle to receive regular maintenance. If you have any questions or concerns, stop by and meet with our team. We’ll be happy to assist you in any way. You can also contact us at (844) 855-8373.